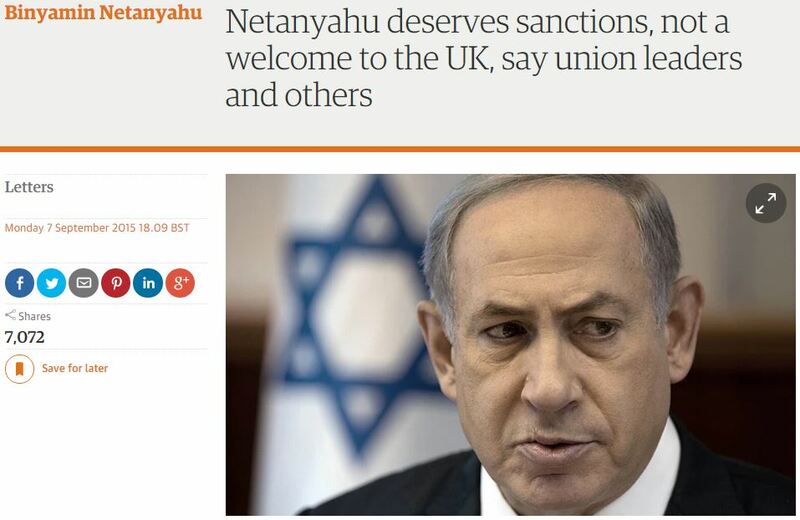 Every month or two, a letter condemning Israel is published in the Guardian carrying multiple signatures. These typically include quite a few radical left figures with little else to concern themselves other than delegitimising the Jewish state. Whilst one wonders if these letters from “concerned citizens” represent the work of a ‘guiding hand’, it seems clear that Guardian editors see value in regurgitating different versions of the anti-Zionist agitprop which mirrors the talking points of “professional” pro-Palestinian activists. It’s the usual gang of useful idiots. 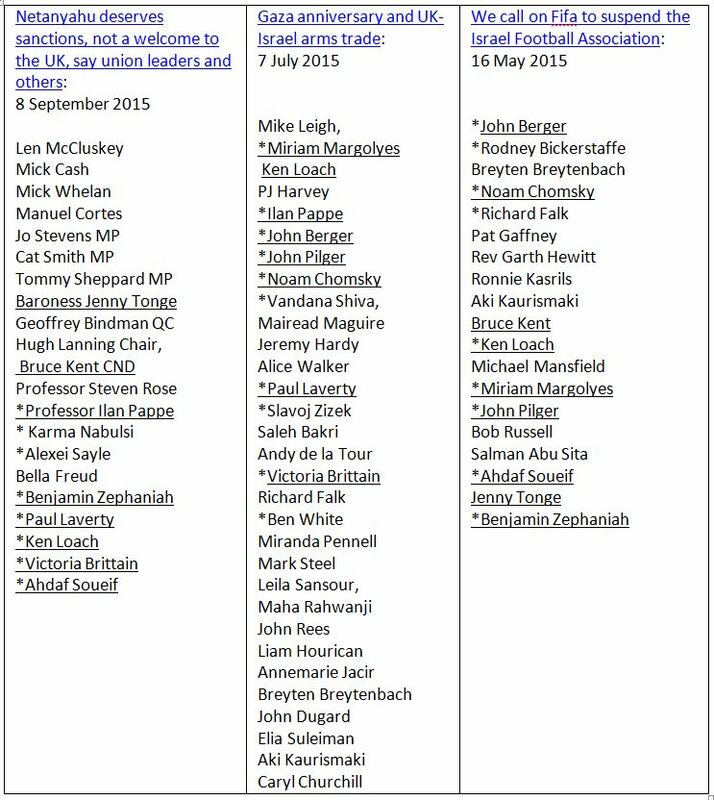 Many of these names, despite not being underlined in your list, frequently sign anti-Israel letters of various sorts or are involved in anti-Israel activity. I don’t recall seeing an anti-Zionist that Hugh Lanning, for example, wouldn’t get behind. I find these idiots quite useless, personally. I’m wonder when Noam Chomsky took up an interest in football. Don’t tell me, let me guess. Ah, well. At least the pro-Pal brigade can’t seem to muster quite the mass-signing celeb support the pro-Israel brigade can. For a truly inspirational effort, see http://www.thewrap.com/israel-hamas-hollywood-creative-community-for-peace/ , AKUS – it will cheer you greatly. Oh look, that poor ‘Mad Cow Miranda’ has been rummaging through rubbish bins again to find something, that she believes will cast Israel and its supporters in a bad light. In her desperation the ‘Mad Cow’ has had to rummage through some old bins. Surely it is time to put her out of her misery? Gee, Miranda, there’s nothing insane about you except, of course, your need to drag American Jews into your convictions that it’s crazy to not support Euro Israel bashing assholes with their (apparently) monthly mass letter signing to bash Israel over something or other. Since you love changing the subject matter so much, I want to thank you (again) for your role in creating the massive refugee crisis coming out of Syria. Your constant anti-Israel behavior has been duly noted while millions of Syrians (many of them Palestinians, i.e. not Syrians though born and living in Syria, i.e. Arabs segregated and oppressed by Arabs) have been murdered and starved to death. No, your constant need to bash World Jewry doesn’t indicate that you’re a bleeding heart, just that you have a leaky head.